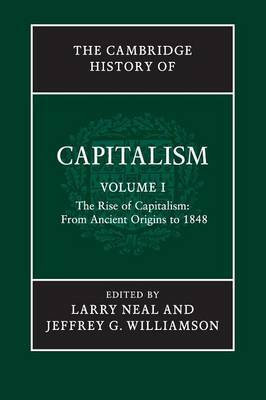 Author(s) Neal, Larry; Williamson, Jeffrey G.
The first volume of The Cambridge History of Capitalism provides a comprehensive account of the evolution of capitalism from its earliest beginnings. Starting with its distant origins in ancient Babylon, successive chapters trace progression up to the 'Promised Land' of capitalism in America. Adopting a wide geographical coverage and comparative perspective, the international team of authors discuss the contributions of Greek, Roman, and Asian civilizations to the development of capitalism, as well as the Chinese, Indian and Arab empires. They determine what features of modern capitalism were present at each time and place, and why the various precursors of capitalism did not survive. Looking at the eventual success of medieval Europe and the examples of city-states in northern Italy and the Low Countries, the authors address how British mercantilism led to European imitations and American successes, and ultimately, how capitalism became global.